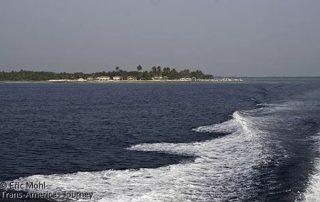 Travel posts about water sports adventures in North, Central, and South America including SCUBA diving, snorkelling, kayaking, and more. 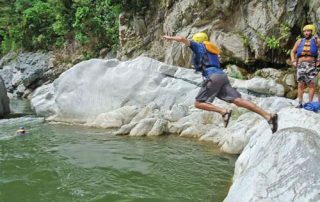 The Cangrejal Valley in Honduras is a haven for bird watching, river rafting, and other water sports though a dam project may threaten all that. SCUBA diving from aboard the Aggressor III liveaboard dive boat in Belize including sightings of seahorses, sharks, eagle rays, turtles, and the famous Blue Hole. 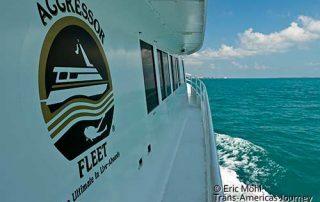 Life topside during a week of SCUBA diving aboard the Aggressor III liveaboard dive boat in Belize. Our review of Turneffe Flats Lodge in Belize where adventurous fishermen and SCUBA divers rub shoulders in one of the most beautiful spots in the country. 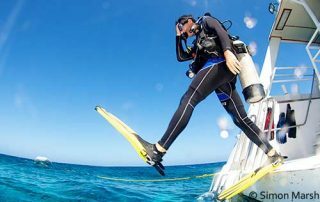 SCUBA diving from Turneffe Flats Lodge to explore the Great Blue Hole and many other dive sites in Belize. 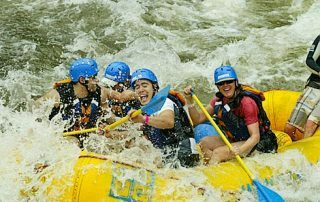 Veracruz state surprises us with exciting white water rafting with Mexico Verde on the Rio Antigua in Jalcomulco. 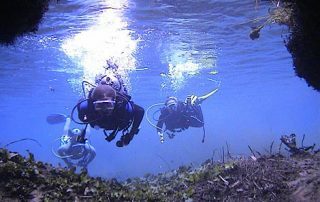 We enjoy Mexico's most unusual SCUBA diving in the warm water of the high-altitude spring-fed Laguna Media Luna in San Luis Potosi state. 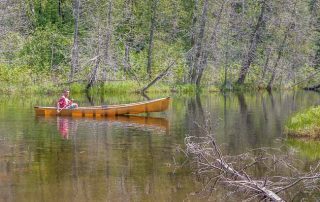 Canoeing, hiking, eating, and wildlife spotting in the Boundary Waters area of Minnesota.